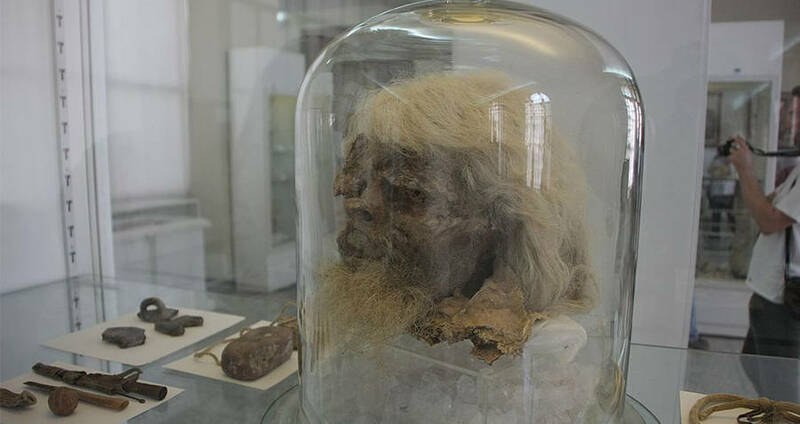 The head of Salt Man 1, on display at the National Museum of Iran. 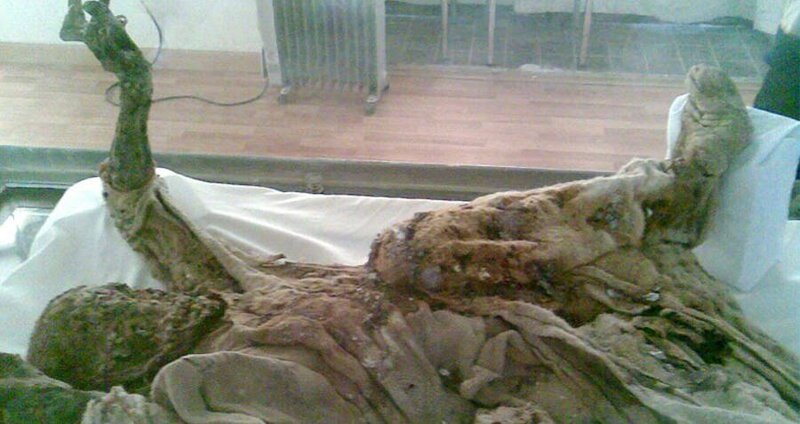 The body of Salt Man 3, on display at the Archeology Museum in Zanjan. 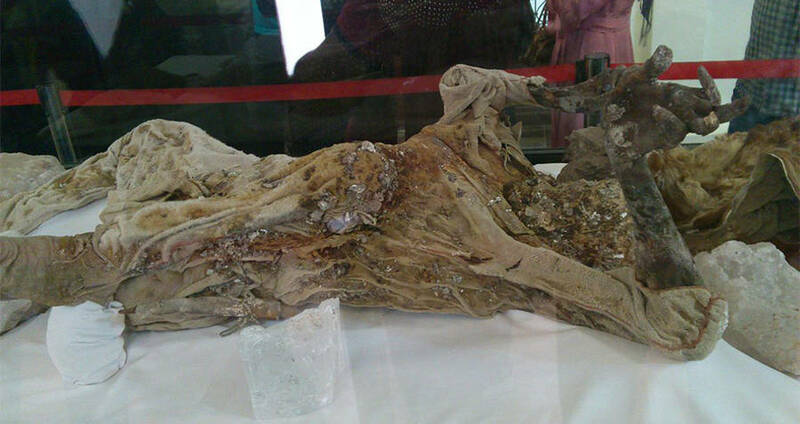 Another salt mummy, on display at the Archeology Museum. The bodies are all displayed in the positions they were found.